If bunion pain is getting in the way of your summer fun, your bony protrusion is keeping you from wearing your favorite sandals, and your second toe is tiring of the big one intruding on its personal space, it might be time to consider bunion surgery – but which one? 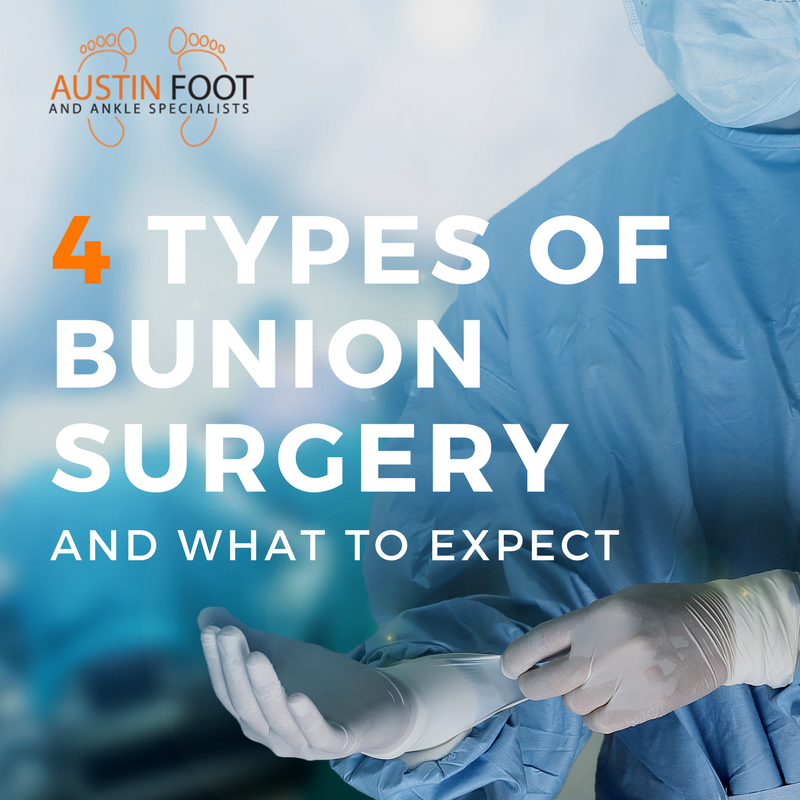 Yes, there is more than a single option when it comes to bunion surgical procedures. Which one is right for you depends on factors like the severity of your deformity, lifestyle, age, and other considerations. Bunionectomy: also referred to as an exostectomy, this procedure removes the bony protrusion at your big toe joint, and is typically combined with a secondary procedure (called an osteotomy) to realign the toe and its surrounding ligaments. Osteotomy: by making small cuts in the bone, your toe is repositioned into proper alignment. This procedure is usually done in conjunction with soft tissue correction. Resection Arthroplasty: typically reserved for elderly patients with arthritis or recurring bunion formation, this procedure involves removing the damaged joint and reshaping the ends of the bones. Arthrodesis: in this case, bones of the big toe joint are realigned into proper position then fixed in place with pins and screws and fused together. Because this reduces mobility, it again is reserved for severe cases, older patients, and those with previously unsuccessful bunion surgical procedures. If you thought bunion surgery was all the same and now this seems like a lot to consider, don’t worry! We will thoroughly discuss your options and determine which would best serve your needs. If bunion pain is effecting your quality of life, and you’ve tried conservative treatments to no avail, let us help you get back to your summer fun. We will answer your questions and calm any concerns you may have about the types of bunion surgery and which is right for you. Just give us a call in Austin, TX at (512) 328-8900.